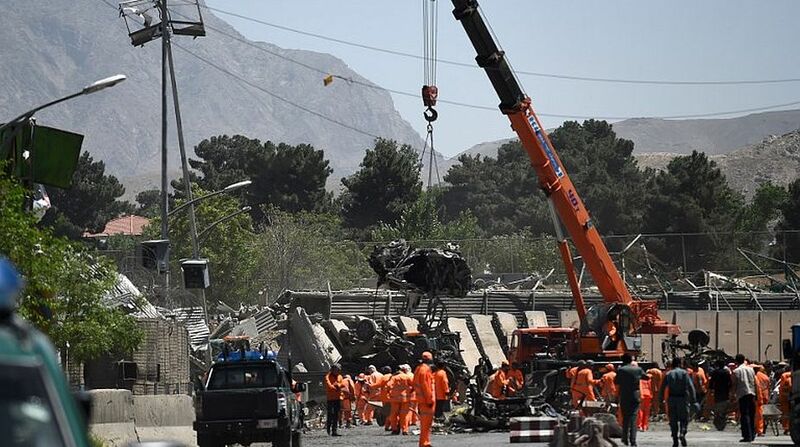 India is believed to be considering undertaking a thorough review of the security arrangements at its missions in Afghanistan in the wake of Wednesday's powerful explosion close to the Indian Embassy in the Afghan capital in which over 80 people were killed. National Security Advisor Ajit Doval had discussed the security of Indian assets in Afghanistan with his Afghan counterpart Hanif Atmar during their recent meeting in Moscow on the margins of an international security meet, sources said. Atmar is believed to have invited Doval to visit Kabul at an early date to not only review the security set up at Indian installations but also see how India could assist Afghan National Defence and Security forces (ANDSF), which are finding it extremely difficult to deal with the rapidly deteriorating security situation. Wednesday's blast took place days before Afghanistan hosts a high-profile meeting of 21 nations, including India, on 6 June to discuss ways to stabilise the situation in the war-torn nation. Sources explained that it was due to the enhanced security arrangements made by India in recent years that the explosion did not cause damage to the life or property at the Indian mission in Kabul. They did not rule out the possibility of the Indian Embassy being the primary target of the attack which caused damage to other adjacent foreign missions. The Indian Embassy in Kabul and four consulates in Herat, Kandahar, Jalalabad and Mazar-e-Sharif, located in crowded areas, are currently guarded by the Indo-Tibetan Border Police (ITBP) and Afghan police. Indian security agencies have been receiving intelligence inputs in recent months suggesting that apart from Al Qaeda and the Pakistan-based Haqqani network, the threat to Indian assets in Afghanistan also emanates from smaller militant groups based in Pakistan. New Delhi is one of the biggest international donors in Afghanistan and this has raised the hackles of anti-India elements, particularly in Pakistan, and led to repeated attacks on Indians and Indian interests in the country.